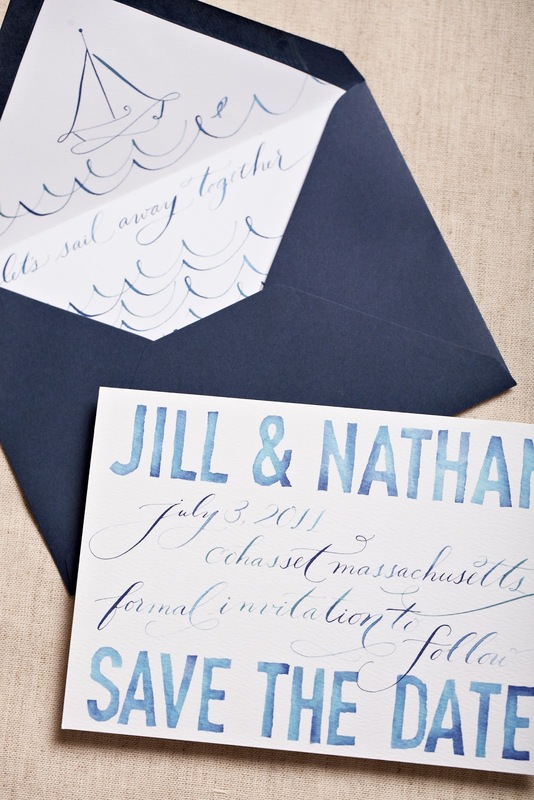 block letters get married to fancy calligraphy...a match made in heaven! courtney and i have this fun watercolor style going on. and, as you can see we like to add a little bit more personality in the envelope liners. featured in the top invite is the bride's grandmother's watercolor...isn't that so sweet? 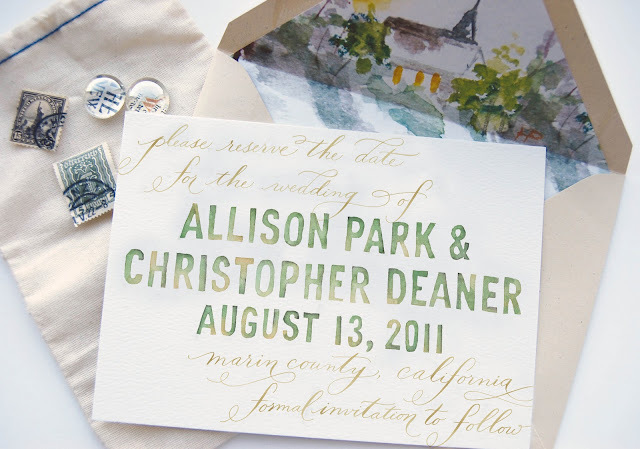 since i was a little girl i have been practicing my handwriting (mostly my own name), over and over on anything near me...envelopes, folders, notebooks, and even on my jeans. 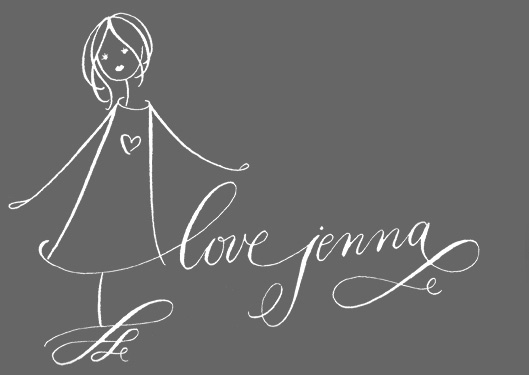 It wasn't until i became a designer that i realized i was just a lover of fonts all the way back in the first grade.